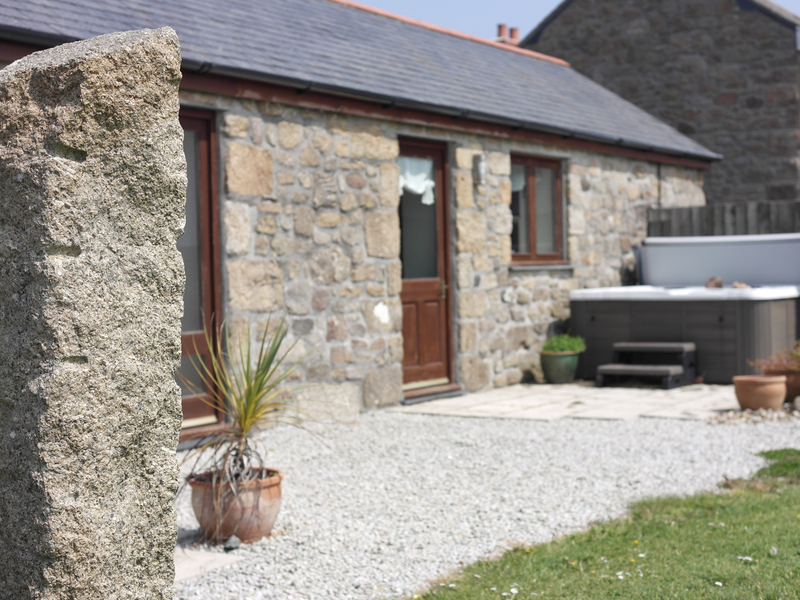 Beersheba Farm is a hilltop hideaway in St Ives Bay with breathtaking views to both the north and south coasts of West Cornwall. Just a mile from the sea and within easy reach of St Ives and its gorgeous golden beaches, it is a perfect place for a relaxing holiday, taking in the best Cornwall can offer. Our self-catering holiday property, Brea Cottage, sleeping 5/6, is a well-appointed, carefully considered holiday cottage to ensure you have a fabulous stay, and will want to come back again and again. 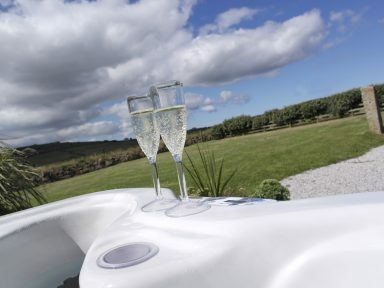 With your own private hot tub to treat you at the end of the day – you can get away from it all!! Treat yourself with a stay in our rural hideaway that allows you to infuse yourself with the atmosphere of scenic St Ives Bay. 3 bedroom holiday cottage, sleeping 5/6, with family bathroom and master en suite, large enclosed garden with sun terrace and private hot tub (charge applies). Comfortable, contemporary and stylish base for your holiday – just over a mile from the nearest beach and coast path. Ideal for walkers, beach lovers, families and couples who want to enjoy a great seaside holiday. Popular attractions such as the Eden Project, Tate St Ives, St Michael’s Mount, numerous gorgeous golden beaches are nearby and Brea is right in the heart of Poldark country. On one level so suitable for young children or those with mobility difficulties. 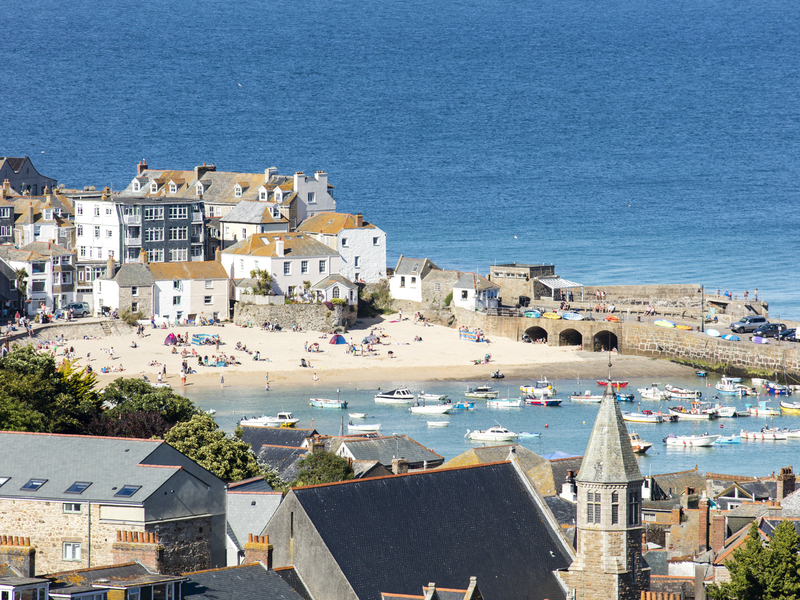 St Ives Bay stretches from the scenic Godrevy Lighthouse, that inspired Virginia Woolf, around golden sandy beaches of Hayle and Carbis Bay, to the picturesque fishing harbour and beaches of St Ives. There is a fantastic choice of beaches, gardens, historic houses, family attractions, ancient monuments and stunning coastal scenery to enjoy. Perfect for seaside lovers, there are surfing beaches such as Porthmeor and Gwithian, and sheltered family friendly beaches, including Blue Flag winners Carbis Bay and Porthminster. West Cornwall has long inspired writers, painters, sculptors and potters. Numerous galleries, including internationally renowned Tate St Ives (2018 Museum of the Year winner), showcase the works that have emerged from this intense landscape. The quality of the local farm produce and fresh seafood creates a fantastic array of restaurants and beachside cafes to enjoy. A wonderfully spacious property with everything you could possibly need for a great holiday. Vicki and Andrew are on hand for anything you may need with advice for places to visit. The views from the hot tub are lovely and what a way to relax after a busy day at the beach! Just outside St Ives, this cottage has amazing views over Carbis Bay in the one direction and Trink Hill in the other. This is a great family cottage, close enough to St Ives to experience the hustle and bustle of the harbour but with a relaxing home to return to at the end of the day. This is a wonderfully presented place that has it all, including a relaxing hot tub. We had an amazing sunny week exploring Cornwall and the Cornish coastline with our daughter. So good it has been added to our return to list! A delightful, well-maintained cottage with friendly and helpful owners. The booking was easy with informative emails and on arrival the welcome pack was just what we needed following a long journey. Despite the cold weather (March), we enjoyed the views whilst soaking in the the hot tub. All in all, the perfect location for exploring this end of Cornwall; we had a wonderful stay.